Tyrone Miller, professionally known as TY-Serv, is the founder of #LoveIzTheMovement and owner/president of iREP Ent. Media Group, LLC, both launched in 2014. His professionalism, loyalty, and personal initiative is reflected in his company and record label and creates a family-like atmosphere for deep rooted music. This dynamic music movement is a step in a new direction, a trajectory around life’s experiences and a discovery of the true path of righteousness. TY-Serv was born April 28, 1984 to a divorced, devout Christian in Cincinnati’s West End. Growing up in poverty in a single parent household in the 1980s, TY-Serv had a rough childhood and fell into the street life selling drugs, chasing women, drinking, and other menacing behavior. As he got older, he left the streets and entered the Greek life, becoming a member of the African-American founded Greek letter fraternity, Iota Phi Theta. However, this too was short-lived. He denounced his affiliation with the Iotas and dedicated his life to Christ. He began to channel all of his negative energy into something more positive…music, and writing thoughtful lyrics. He became a youth minister and advocate for the young people in his community. He hosted basketball tournaments, concerts, back-to-school drives and a number of various outreach events to engage the youth and keep them out of the streets. During one such concert, TY-Serv was given “the Truth” when ahk Yosef and ahk Yahudah came to speak truth to the youth in attendance. This has now become the foundation of his outreach programs and a continuation of his earlier work, but on the right path. He is a graduate of the University of Cincinnati where he met his wife, Meagan, the mother of his three amazing children, Tylia, Tyrone III and Tylin. 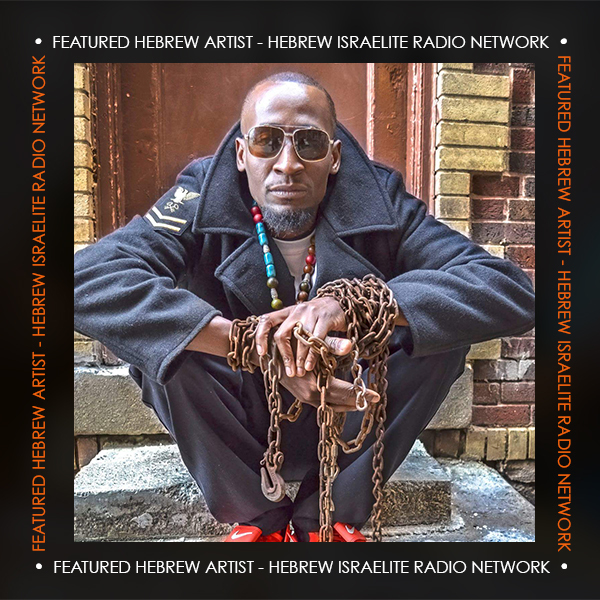 Being chosen to be the artist of the month (March 2018) on the mrhebrew1.com website has been such an inspiration to many youths who hope to also follow the Path of righteousness and move towards a brighter future.